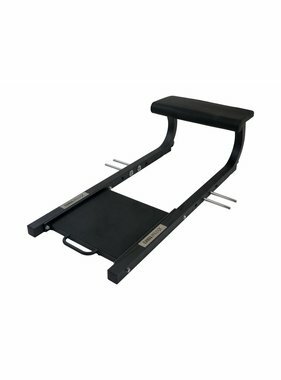 The LMX1304 Sissy squat bench PRO (black) will help you take squats to the next level! This good looking and sturdy bench is easily adjusted so that anyone can use it with roller cushions providing comfort. The LMX1304 Sissy squat bench PRO (black) is suitable for commercial use.